Few cities in the world have such an intense activity as the city of Buenos Aires, with so many options for the people who want to live this experience. This "nightlife" permanently increases the important variety of high level restaurants in Puerto Madero neighbourhood, nowadays all of the located in front of the extraordinary view the estuary of the River Plate offers, in the most glamorous area of Buenos Aires. On the other side, Palermo neighbourhood gathers together both artists and young public, contribute with the "a la carte" entertainment, with restaurants and thematic cafes covering the sidewalks, bands live and nighclubs that remain open after midnight, different proposals when we have to choose what to do. 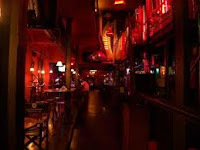 Las Cañitas neighbourhood, another "gourmet" space is mostly visited by actors and actresses, and by those who choose this option after the cinema or the theatre. Again, the variety of cuisine, and the clothes stores that remain open until midnight, give us an idea of how many different places the city has to offer. For those who like tango, dancing, or other popular cultural expressions these areas are "not to miss" points. The cosmopolitan Buenos Aires is much more than this, in most of the capital cities of the world, entertainment usually end at midnight, but here the "porteños" used to sleep less in order to take advantage of amusement, prove to be very "latin". The gay community has its space in this "porteño" nightlife too. The thing is, this was the first place to admit the homosexual legal engagement, and offers an important amount of gay friendly restaurants, thematic cafes, and nightclubs. Everybody can enjoy entertainment here, and as the local citizenship is open to different beliefs, sexual choices, and ethnick groups, is reasonable that gay tourism is accepted as well. - Esperanto: 1625 Juan B. Justo Ave. - Palermo. - La Diosa: 3731 Rafael Obligado st. - Costa Salguero. 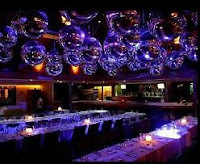 - Asia de Cuba: 750 Pierina Dealesi st. - Puerto Madero. - Bahrein: 345 Lavalle st. - Downtown. - Acqua Loung bar: 305 Juana Manso st. - Puerto Madero. - Pagana: 2134 Vicente Lopez st. - Recoleta. 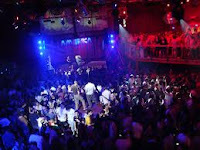 - Club Araoz: 2424 Araóz st. - Palermo. - Pacha: Rafael Obligado st. and Pampa st. - Costanera Norte. - Caix: Rafael Obligado st. and Sarmiento - Costanera Norte. - Maluco Beleza: 1728 Sarmiento st. - Downtown. - Hummer Disco: 1658 Juan B. Justo Ave. - Palermo. 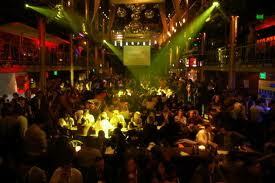 - Niceto Club: 5510 Niceto Vega Ave. - Palermo. - The Kilkenny: 399 Marcelo T. de Alvear st. - Downtown. - Dubliners: 2000 Humboldt st. - Palermo. - Hard Rock Cafe: Del Libertador Ave. and Pueyrredón Ave. - Recoleta. - Bangalore: 1416 Humboldt st. - Palermo. - Million bar: 1048 Parana st. - Recoleta. - Amerika Disco: 1040 Gascon st. - Almagro. - Club 69: 5510 Niceto Vega Ave. - Palermo. - Contramano: 1082 Rodríguez Peña - Recoleta. - Axel Hotel - Cosmo Bar: 649 Venezuela - San Telmo. - Fiesta Ambar La Fox: 3455 Federico Lacroze Ave. - Palermo.